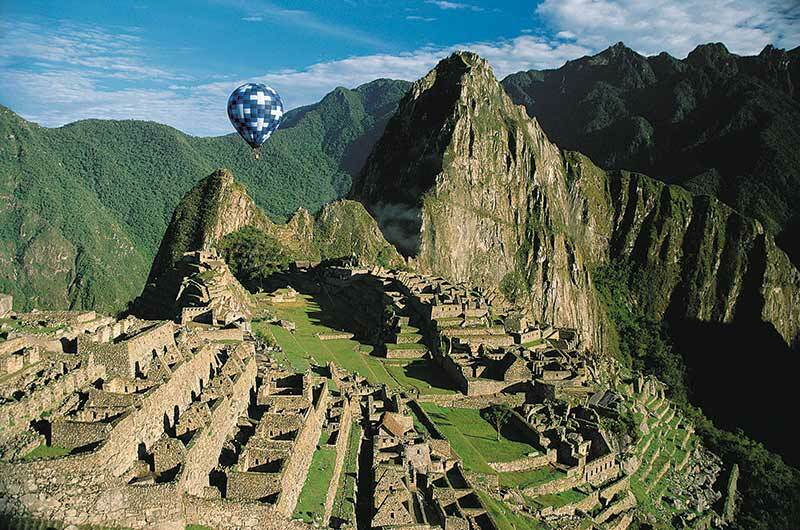 Peru | South America Tours | Peru Vacation Packages | Peru Vacations | Machu Picchu Tours | Gate 1 Travel - More of the World For Less! The trip was outstanding. The guide, Edgar, and his assistant, Henry, couldn’t have been more helpful or knowledgeable. I would definitely recommend this trip to anyone considering a trip to Peru. It was lovely! Rogger and Pepe were wonderful, handling anything that came up and making sure we were all well looked after. Jose, our Lima guide, was excellent and Victor, our driver, navigated those mountain roads so well. A beautiful country with a rich history and culture. Machu Picchu was amazing! The trip and hotels were great. Edgar, the tour manager is very professional. Gate 1 is a very organized and efficient traveling company. We are so impressed. We love Gate 1! Our trip to Peru and Machu Picchu was fantastic! My daughter and I enjoyed ourselves immensely .... Our tour guide was always looking out for our safety. We stayed at very comfortable and clean hotel, ate at restaurants with delicious local cuisine, and our helper and bus driver were the best ... We also had the good fortune to travel with a wonderful group of people. The whole experience was so much more than we expected. Thank you for a trip that will stay in our memories forever! This trip was very interesting, many historical sites to see. It was very well organized, without needing to worry about anything. And our tour manager, Alejandro, was amazing - patient, caring, funny; would not be the same without him. It was my first trip with Gate 1 and I truly enjoyed it. I want to take this opportunity to tell how much I enjoyed my recent trip to Peru. I can't imagine what could have been done to improve my experience. First of all, I must commend our tour guide, Ronald, who bent over backward to make sure everything was to our satisfaction. His concern and compassion are beyond reproach. He was easily accessible at all times if there were questions or issues. 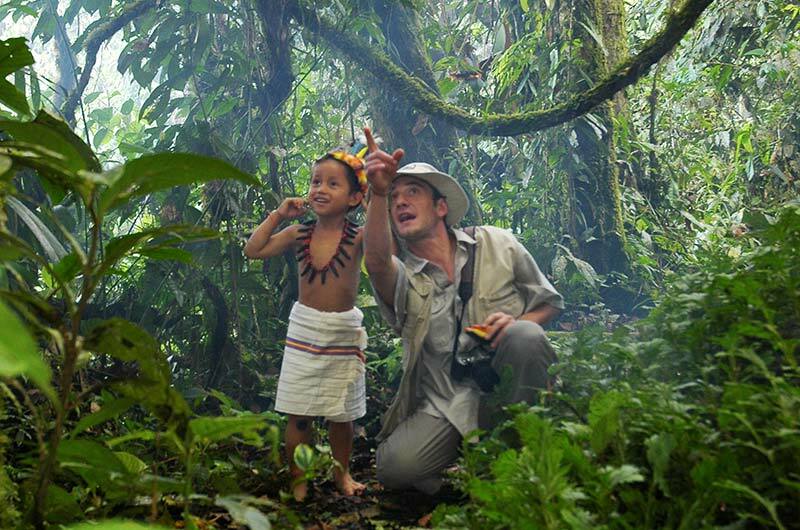 A native of Cuzco, he certainly knew his stuff, and his knowledge of the history of the various regions was complete. He made the complications of the itinerary (transfers, etc.) so simple. The optional excursions were great, and Ronald seemed as excited as we were to visit these places. He's also simply one helluva nice guy. His job is not an easy one, but nothing clouded his focus to offer us the best experience ever. This was my first Gate 1 trip, and I've already booked a 12-day tour of Germany for May, 2019. I also very much appreciate that Gate 1 offers a reasonable single supplement, so helpful to those of us who must travel alone. Thanks for a memorable experience. I'm spreading the word about Gate 1. The trip was fantastic. It was well organised and our tour guides were great. Raul Callapina the Machu Picchu and lake Titicaca guide was very enthusiastic and passionate about Inca culture it’s ‘contagious’. Abelardo our Amazon guide was great in showing us interesting places. Gate1 is travel is #1. We had a wonderful time. Can't think of a single complaint. The food was excellent, the hotels were stunning and the trip was so well organized and run. Our tour guide Hector was outstanding and we will certainly keep Gate 1 in mind for all of our future tours. It was amazing right from the start ... Our Tour Leader Rene, was terrific, very knowledgeable and plenty of expertise with the whole group. The guide in training, Yutber, was also exceptional and will go a long way with your company The driver Ernesto, and all the local guides were exceptional, and yes I remember most of their names starting with Richard, David, Jamie and Mauricio. Each had abundance of knowledge for their particular areas. We had a wonderful time with the major highlights being Machu Picchu and of course the floating islands at lake Titicaca ... This was our first time with Gate 1 Travel ... I am certain that we will be travelling with you again. 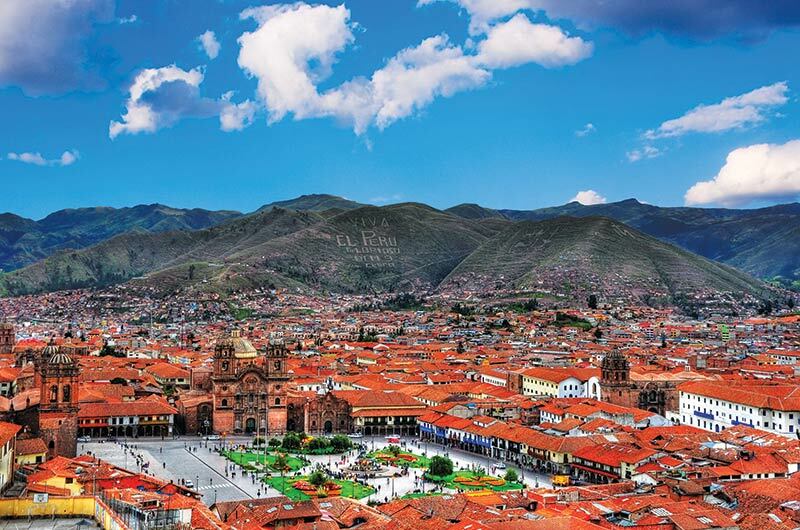 The service provided by Gate 1 travel exceeded our expectations and was top notch quality, we had a great time in Peru, all the arrangements including transportation, accommodation and sightseeing were well taken care of which also included bottled water for everyone on a daily basis. Everything as stated in the itinerary and more. The trip was outstanding. It was well organized, and the service provided by the Gate 1 staff was exceptional. I also would like to send our special thanks to the tour manager (Marcos Farfan) and his assistant (Paul). Both made the experience of entire trip so pleasant, inclusive, and enjoyable. This is the first time we joined the Gate 1 tour and certainly will not be our last. Thank you! Job well done! Our trip to Peru was outstanding. I fell in love with Machu Picchu, Peru in general with it's beautiful scenery, and the people. Our tour director, Marcos Farfan, was wonderful! His ability to speak Quecha allowed us several very special opportunites, where we were able to visit the indigenous people in their work and home environment. One special memory was stopping by a family, out in their fields attending to their crops ... Marcos's ability to communicate with the family allowed us to see a real family in their natural environment. I am 74 and Marcos's helper, Alexis, helped me get to the top of the mountain so I could see the view of Machu Picchu, I had dreamed about all my life ... Every part of our trip was wonderful both for me and for my 23 year old granddaughter. It was a trip that transcended our ages and held wonder for both of us ... Thank you, Gate 1 for another successful trip! We loved this trip to Peru! My wife and I were accompanied by our two adult daughters. All four of us had a marvelous experience. Our tour guide Mr. Rolly Carasco was outstanding. He is passionate about explaining Inca history, customs, religious beliefs, and the role of the Spanish Conquistadors' devastating impact on the original people of the region ... Machu Picchu was more thrilling than I expected it to be. The other highlights: Cuzco, the floating Uros Islands, the visit to the school classroom, the Central market vegetable stands, and so much more. We would all enthusiastically recommend this trip ... We are already discussing and planning for our next Gate1 excursion. My trip to Peru was great. I really enjoyed it. Pavel our tour guide was very pleasant and knowledgeable ... Also, great was the bus driver and Pavel's assistant, Fredy ... Overall, I came back very glad that I took the tour. I have traveled with Gate 1 before and must say that I am glad I did. I'll be on the look out for other tour offers and I wish that Gate 1 gave a little discount for previous travels. Luz A. Forest Hills, NY. Fantastic. Our guide was great, providing a terrific amount of historical and cultural information. He kept us on time, and was very patient with some of the more challenging members of the group. His assistant Algusto (sp?) was very supportive, friendly and provided additional information of great interest. Highly recommend this tour, and the guides provided. It couldn't be any better. Had a fantastic time! Peru is beautiful and fascinating, and our tour guide, Rolly Carrasco made the trip super. Everything was well organized, drivers were great and the hotels were nice and comfortable and well located in the city. 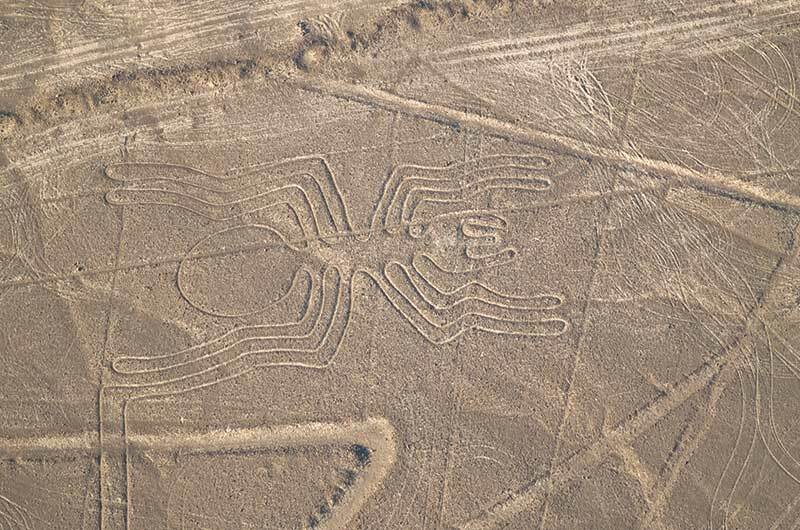 I could highly recommend this tour and your company to anyone, who is planning to go to Peru. The trip was wonderful! Mauricio lived up to the Gate 1 standard for tour managers. His knowledge, wit, patience, and concern for our safety and comfort were exceptional. Hotels were first class and staffs obviously deferred to Gate 1 travelers. Furnished meals were excellent, as were Mauricio's recommendations for meals on our own. The small size and diversity of this group made the experience even more rewarding. I would emphasize...All in all, definitely more of the world for less, and a great value. 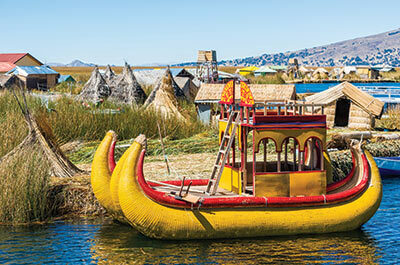 We recently had an excellent experience on the Peruvian Legends trip, our second Gate 1 trip. The group of 12 travelers blended well together for a congenial two weeks. Our tour director, Arturo Espinoza, was excellent. 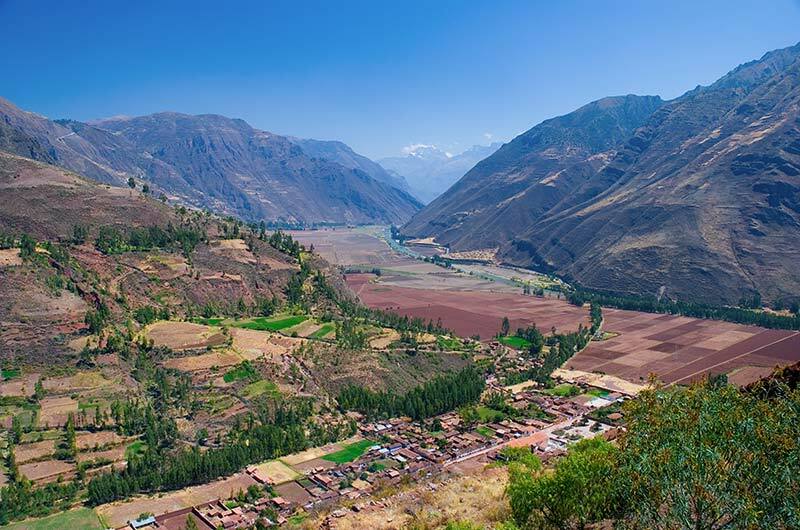 He had a vast fund of knowledge about Peru, especially the Cusco and Machu Pichu regions. He was highly organized yet pleasant and helped the group dynamics. He was quick to take initiative on local issues and made us feel very comfortable in his country, Peru. A great trip overall and we will return to Gate ! in the future! I thoroughly enjoyed the entire trip to Peru. It was packed with fun, challenging activities & I will be recommending Gate 1 to other people (in fact, I already have). The trip was even more enjoyable due to the expertise of the tour manager, Arturo Espinoza. He was very knowledgable and professional. Arturo was very personable and charming, he was extremely helpful to everyone. He managed to keep the group together & he guided us through every itinerary smoothly. Arturo is a definite asset to the Gate 1 company and our group was lucky to have benefited from his guidance. I'm looking forward to another Discovery Tour in the near future. The trip was excellent, the tour manager, Allihandro, is very pleasant and experienced, it's well organized and we don't feel rushed, love it and will definitely travel with Gate 1 again in the future. I had a wonderful time in Peru with Gate 1. Just excellent. Very thorough tour guides/managers. Strong concern for safety as well as very well coordinated. Nice balance re: activities and free time. Hotels, food, transportation all very good. It was one of our most amazing trips. Very well organized. Machu Picchu was the highlight of course & we also enjoyed the Lake Titicaca floating Islands & the whole experience with the people there. Our tour guide Ronald was the best. Very knowledgable on everything & went out of his way to please. Excellent!!! The Machu Picchu Express Trip was fabulous. I was worried that such a short trip wouldn’t include much but it fit into my time schedule. The trip was much more than I expected. Victor was an amazing tour guide. 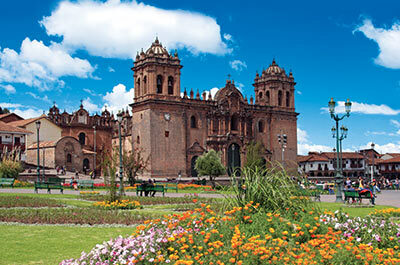 He is extremely knowledgeable about Peru, it’s history, architecture, and people. He related well to all members of our tour group. I would highly recommend this trip to others. Thanks for checking in with me. Fantastic! My husband and I enjoyed Peru even more than we had anticipated, and appreciated the broad range of experiences and terrain that the tour covered. Another Gate 1 success! It was a truly wonderful trip. We saw so much of Peru. The guides who led our trip were phenomenal. I would sing the praises of Gate 1 to anyone. Thank you for asking. We had a beautiful trip. Hector, our trip manager, was professional, interesting and kind. The organization was just perfect. The hotels were well located...It was our first experience with Gate1 but we hope it won’t be the last! This was the best travelling experience I had staring from organisation, travel guides, hotel accommodations and choice of places to visit. Everything was great. I am more then happy to travel with gate 1 again in the future...special thanks to Edgar and Abelardo and other support staff on making my trip very interesting. Their knowledge was remarkable. It was absolutely wonderful and exceeded my expectations. Our tour manager Pavel was extremely knowledgeable and highly professional. The accommodations and transportation provided during the tour were top-notch. For a first-time Gate 1 traveler, I was blown away and will not hesitate to book another trip through Gate 1 in the future. Our trip to Peru was great! Arturo Espinoza, our guide, was especially good: caring, friendly, knowledgeable, and effective at managing our group. The itinerary was well-planned, most of the hotels were good, and optional tours were outstanding. We're looking forward to our next Gate 1 trips in March to Southern India, Nepal, and Bhutan. The trip was wonderful. Our guide, Edgar was very knowledgeable and helpful, and introduced us to many aspects of Peruvian life and culture.We will definitely consider Gate 1 for future trips. Our trip was outstanding! Could not have done this tour without Gate 1. Will definitely use Gate 1 again in the future. As usual my Gate1 trip was fantastic. But this time it was accomplishing my life long dream of seeing Machu Picchu! Everything was perfect from the driver, guide, hotels and tour! My trip was AMAZING!!!! I have lived and worked overseas for 20+ years, so I travel a lot. I have never used an organized tour company before, I always make my own arrangements and do my own thing, but the logistics of planning a trip to Machu Picchu and limited availability of tickets pushed me to try a tour for this trip. OMG, it was the best experience! The staff (guide Marcos Farfan, his assistant Aldo, and driver Wilbert) was fantastic, the logistics were flawless, the group was diverse/interesting/fun, and the value for money was exceptional. My opinion of organized tours has completely changed, and I will definitely be looking to Gate 1 in the future for another trip (quite possibly with some of my new friends from this one!). Our trip was wonderful. Our guide Edgar was the best, so knowledgeable and made everything run so smoothly along with the local guides and bus drivers. There was not one thing my husband and I did not like. We are so happy to have taken this trip since it was on the top of our bucket list. We are so impressed with Gate 1 and will let our friends know. This was our second tour with you, our first was China which was also excellent. Now we are planning our next trip in spring to Italy. Thank you Gate 1 for sponsoring the school we visited. It brought tears to our eyes and were welcomed with open arms. This was my husbands highlight of the trip. Excellent! We had a great time. The tour guides Ronald and Ruben were so helpful and knowledgeable. The hotels were decent. We will definitely use Gate1 again. It was amazing! Our tour guide, Gary, could not have been better. He really went the extra mile for each of us through the whole trip, but particularly when we all faced a stressful situation with hurricane Irma. Gary made sure we each had flights and a plan to get us home safely. He went above and beyond on this. Aside from that, he was just the perfect tour guide - so proud to show us his country. The entire trip was fantastic- the best tour we've ever been on, and we've traveled with several companies. Thank you for a once in a lifetime experience exploring Peru! We had the trip of a lifetime. Our guide Edgart couldn’t have been better. He was so knowledgeable and we could tell that he really wanted us to have a wonderful experience. We would highly recommend this trip to anyone. From the accommodations, local guides, Alverto, drivers, food and especially Edgart, our trip was just perfect. I recommend Gate 1 to all my friends and relatives. I really don’t think you could beat them. We look forward to future adventures with Gate 1. Once again, we want to thank Edgart for making our trip to Machu Picchu one that will always be one of our favorite trips. We had an amazing time, thank you. I thought the tour guide Washington and his assistant guide Yutber were superb both in terms of knowledge as well as spicing up the trip for us and making it fun for the entire group. Loved the country, our group, and the whole experience. Everything went very smoothly for us and we would do it again. Our trip to Peru was wonderful! Marcos, our guide, was exceptional. He was full of knowledge, very entertaining and had a very comfortable, easy personality. Our group was also a great friendly mix of people. The accommodations and meals were great as well. We will definitely be using Gate 1 Travel in the future! The trip was excellent and our assigned tour guide Juan was excellent. He took care of us and is one of the most organized people I have met. His experience, care for us, and love for his country shows while he made sure that we only worried about enjoying our vacation. Freddy was another excellent, attentive and kind guide who complemented Juan perfectly during every minute he spent with our group. The drivers were also great; our long trips were safe and smooth and they also greatly complemented the rest of your team. While the morning wake-up times and schedules felt rough at times, we understood that was necessary to ensure we did everything with time to avoid inconveniences or issues. Your crew was dependably and consistently there for us and we could not thank them enough. Thank you. The Peru experience was outstanding and the group was one of the best we have traveled with from Gate 1. 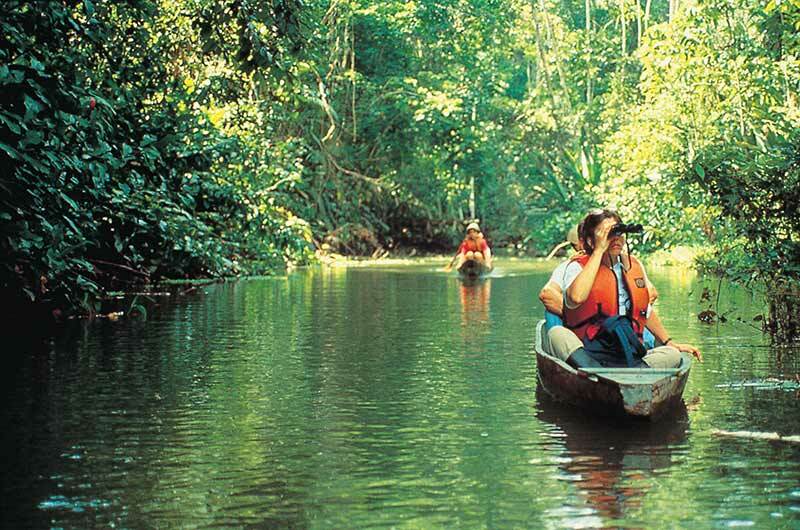 The Amazon adventure was thrilling and the Canopy walk was well worth going on. It was great! We thoroughly enjoyed it. Gary, our primary tour guide was fantastic, as were our tour guide assistants, local guides in each city/country, and bus drivers. The optional tours were interesting as well and totally worth it. Everything was well thought out and organized. I've always wanted to go to Peru and am fluent in Spanish but I really don't think I would have been able to pull this trip off by myself. While this was our first tour with Gate 1, I can definitely say that we will be back. It was incredible! Our guide, Edgard, was just wonderful. Knowledgeable, funny, accommodating, interesting, friendly- just a fantastic person and resource for Gate 1. Alexandra was also great. 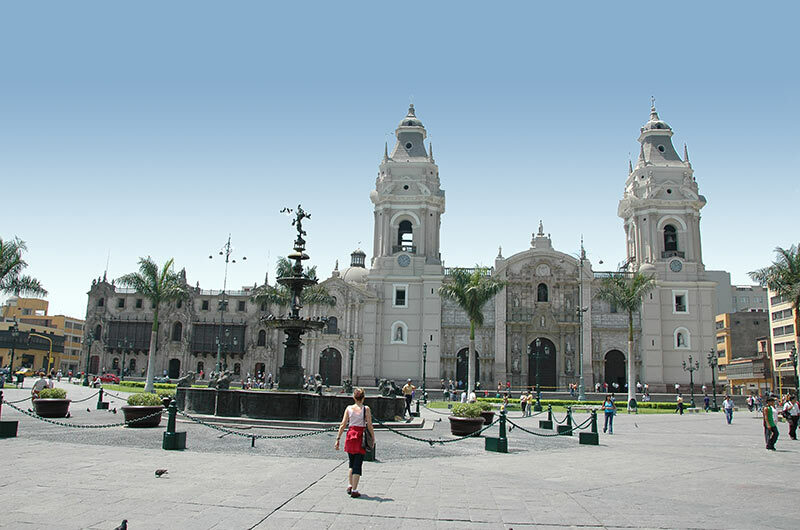 Your company has great resources and representatives in all of your Peru colleagues. The hotels clean with good amenities and the food was plentiful and delish. Appreciated the waters everyday too. The excursions were interesting, educational and fun. I have told all my friends to book a trip with Gate 1. I will be doing this again in 2 years with more nieces and nephews! It was simply amazing! Very well organized! Kudos! The local Gate 1 contacts were very nice, knowledgeable, and helpful. The accommodation was pretty decent and transportation was also good! Thanks a lot for making our trip successful and memorable!! I had a very wonderful experience with Gate 1 Travel in Peru. Didn't expect it to be that great! Our tour guide, Edson, was very knowledgeable and friendly. We all felt like part of a big family. I will definitely go with Gate 1 again.